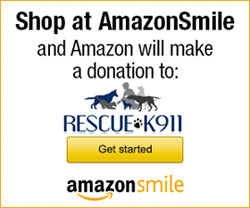 Volunteer « Rescue K911 is an animal shelter located in Camp Hill, AL. Rescue K911 is a 100% nonprofit, no-kill organization dedicated to reducing overpopulation, abuse and neglect of dogs in our community. Rescue K911 is run entirely by like-minded professionals who volunteer their time and resources to help save the lives of these precious little ones. The rescued dogs of Rescue K911 would love for you to donate your time, attention, affection and love! That is exactly where your efforts are most needed and there are many areas in which you may participate. We have many dogs in our care who look forward to taking a long walk, or sitting on a couch with you, or just a bath or a brushing would be so very appreciated. We are also looking for volunteers to help us with upcoming events around our area such as mobile adoptions, fundraising events, and community awareness.